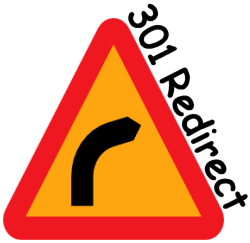 A permanent 301 redirect informs search engines and browsers (Firefox, Google Chrome, Microsoft Internet Explorer etc…) a page has permanently moved to a new location. A visitor to a website visiting via a link that’s been 301 redirected will click a link with one URL, but load another URL. For example I moved some articles from another site to here, if a visitor found a link to http://www.stallion-theme.com/wordpress-seo-tutorial-duplicate-content-and-canonical-urls (old location) it would load https://stallion-theme.co.uk/wordpress-seo-tutorial-duplicate-content-and-canonical-urls/ (new location) in a browser since there’s a 301 redirect on the old site (added to the .htaccess file) to here. Search engines like Google will pass any SEO benefit (PageRank for example) and traffic from the old URL to the new URL. So when Googlebot (Google search engine spider) has spidered the old URL it will stop indexing the old URL and only index the new one (give it a few weeks, don’t expect the change to be overnight): this means current Google SERPs for the old page will be associated with the new page. What percentage of PageRank is lost through a 301 redirect? WordPress includes some 301 redirect capabilities built in, for example when a site uses SEO Friendly Permalinks the dynamic version of a URL is automatically 301 redirected to the SEO friendly version. For example this article can be accessed via it’s SEO unfriendly dynamic URL here : WordPress Automatic Permalinks 301 Redirects. Hoverover the link above and you can see the URL is: https://stallion-theme.co.uk/?p=511 now click the link and it loads the page you are on now. That’s a built in WordPress 301 redirect in action. The above is built into WordPress since version 3.3, so no need to worry about 301 redirects when changing WordPress permalinks from the default ?p=123 to the SEO recommended /%postname%/ on a new or even an old site that’s used the default Permalinks setting for years, WordPress 301 redirects automatically (don’t forget on an old site about the ~15% 301 redirect dampening factor). WordPress does NOT handle automatic 301 redirects if you change permalinks from a non-default structure to another. The old URLs will NOT automatically 301 redirect to the new, to make this change you’ll either have to manually setup 301 redirects via your .htaccess file or install a 301 Redirect WordPress Plugin. I’ve used both options, really depends on the site and number of posts that require 301 redirects. Unless you are running a WordPress plugin or other way to edit your root .htaccess file, use an FTP program (Filezilla for example) to download your .htaccess file (the .htaccess file is normally where the wp-config.php file is). If you use a WordPress caching plugin like WP Super Cache or W3C Total Cache you’ll find a lot more rules in your .htaccess file. After adding your 301 redirect rules upload the .htaccess file to the root of your site using an FTP program. Below is a simple 301 redirect that would be added to the .htaccess file found in the root of your site. “RewriteEngine On” probably won’t be needed, it’s already been added by WordPress when you turn SEO friendly permalinks on (see earlier). For non WordPress users the above is all you need within your .htaccess file to redirect one page to another. This would redirect the home page / of the old site to the home page / of the new domain, page-1 on the old site to page-1 on the new domain etc… This is not the easiest way to achieve this (see next .htaccess 301 redirect rules for the easy way), but it can be useful if you split an old site over multiple domains for example where wildcard rules just won’t work or you’ve changed the URL structure. The rules above 301 redirects everything under old-domain.com and www.old-domain.com to www.new-domain.com keeping the original filenames (based on the permalinks settings). For example the URLs old-domain.com/page-1/ and www.old-domain.com/page-1/ will both 301 redirect to www.new-domain.com/page-1/ on the new domain. For example the URLs old-domain.com/page-1/ and www.old-domain.com/page-1/ will both 301 redirect to new-domain.com/page-1/ on the new domain. 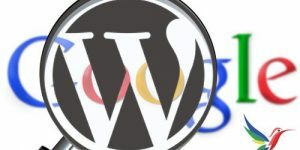 WordPress SEO Tip: When moving domains don’t forget to set the preferred domain (www or non-www) under Google Webmaster Tools, so Google knows which www or non-www should be indexed and ranked. I moved half a dozen posts with over 100 comments between them from one site to another (to this site, it’s some of the WordPress SEO Tutorials: decided to bring all my WordPress SEO Tutorial articles under one domain) and because I use the Stallion Responsive Theme SEO Super Comments feature I had to take into account the comments that were indexed in their own right: although there’s only half a dozen articles, the 100 or so comments meant I had to deal with dozens of URLs with query strings (?cid=123) that needed 301 redirects. No way I could generate this rule via a WordPress 301 Redirect Plugin, it’s too specific to that sites needs. What it does is look for URLs with a query string ?cid=123 (this is what you find on the end of Stallion SEO Super Comment URLs). 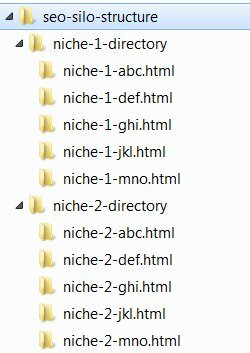 Looks for URLs including seo-tutorial-for-wordpress (which is the WordPress slug of an article I moved) and 301 redirects it to https://stallion-theme.co.uk/seo-tutorial-for-wordpress/ (where I moved the WordPress SEO Tutorial article to). Since the cid=number is the comment ID and when moving comments from one site to another WordPress doesn’t maintain the original comment ID (comments get a new comment ID) the above 301 redirects all URLs with format seo-tutorial-for-wordpress?cid=123 from the old site to https://stallion-theme.co.uk/seo-tutorial-for-wordpress/ on the new site. Most WordPress users will never need a 301 redirect .htaccess rule like the one above, but it shows what you can achieve with the right 301 redirect rules. “This IP address is shared. For access to the web site which you look for, enter its address instead of its IP. I use WordPress on around 70 domains and it works fine on my sites. Which is basically the same as yours. If you load http://domain.co.uk it immediately redirects to http://www.domain.co.uk. This assumes you are on a Linux server. Thanks for the fast reply David! I got to the bottom of it eventually. It was actually a hosting provider configuration problem. They hadn’t added a ServerAlias in the NameVirtualHost directive. Thanks again! I’m using the EXACT same code as the word press example above, and all I ever get is an endless loop detected in the browser (any browser). Any suggestions?